Yamaha Journey Vol.22 - Resonating Worlds | Yamaha Motor Co., Ltd. 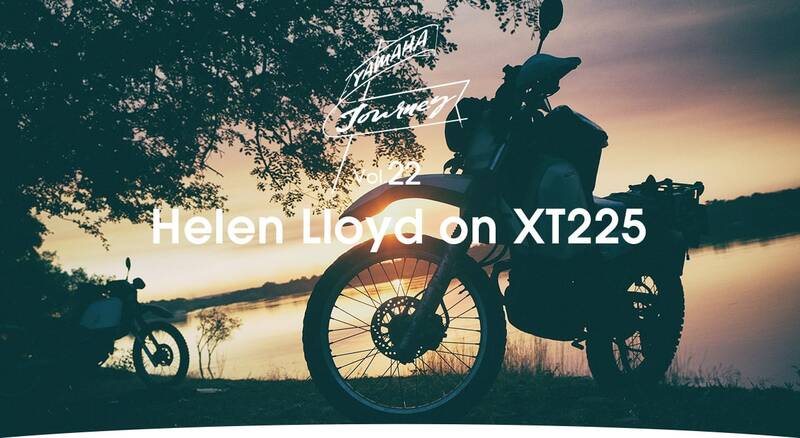 In 2009 Helen Lloyd quit her job in the UK and cycled across Africa. 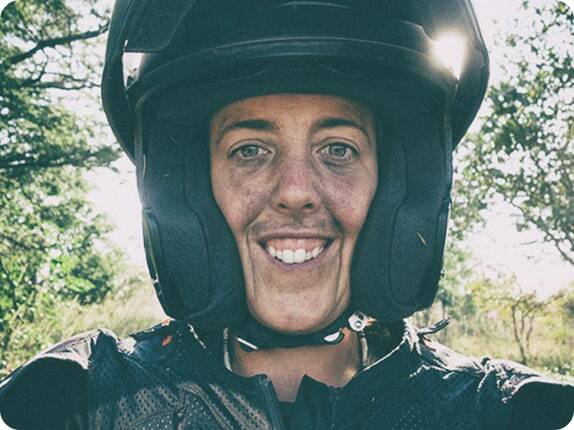 In 2015, returning 6 years later, she travelled across the continent for a second time, but this time on a Yamaha XT225. 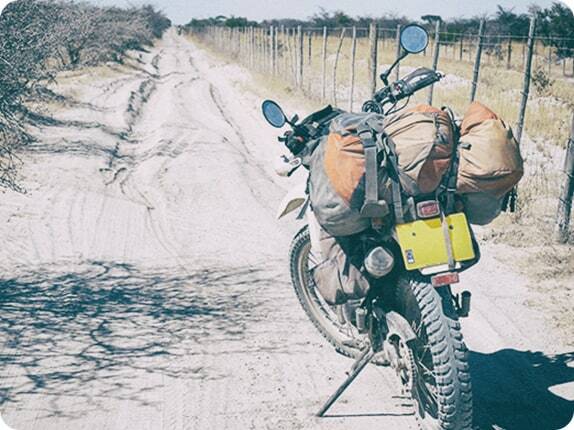 During the 15-month, 40,000-kilometer ride from Cape Town to Cairo, Helen explored the stunning landscape and encountered the kindhearted people and unique wildlife that share it. 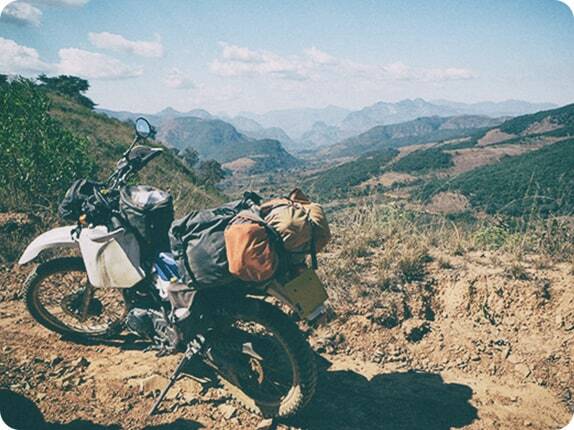 In this second installment, she rides from Angola to Uganda, camping wild and fending off monkeys! 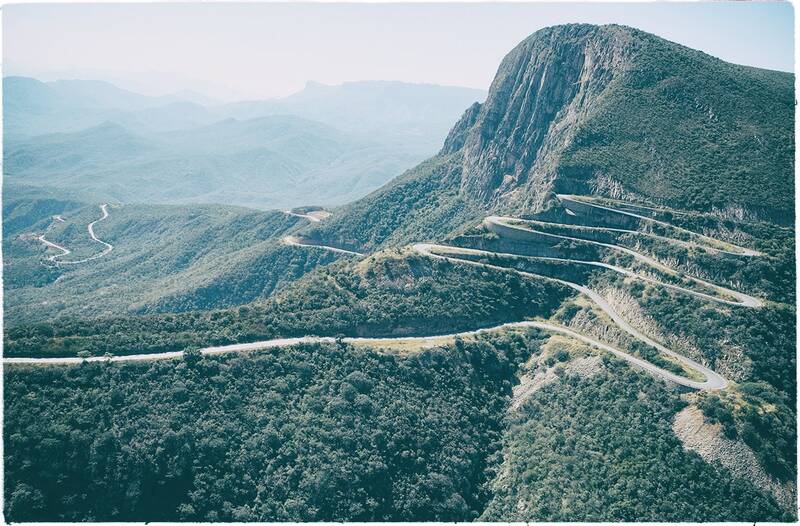 The Leba Pass (1,845m) switchbacks up to the altiplano near the regional capital of Lubango. 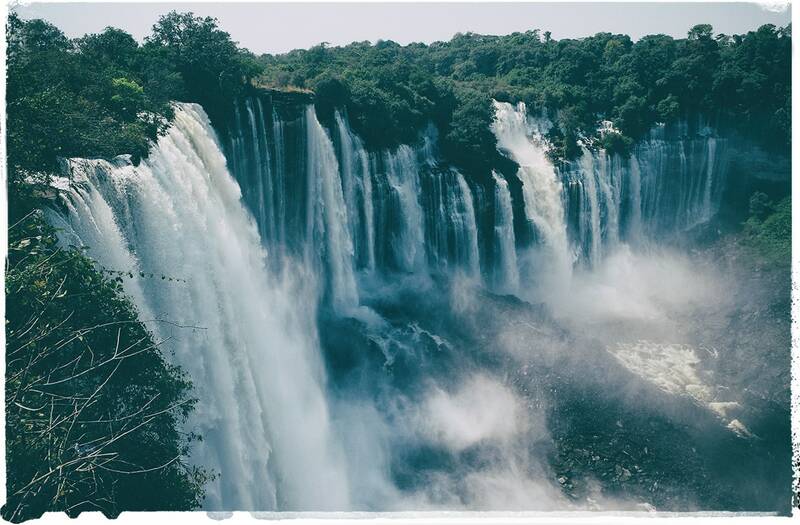 The Kalandula Falls at 105m high and 400m wide are one of the biggest waterfalls by volume in Africa. 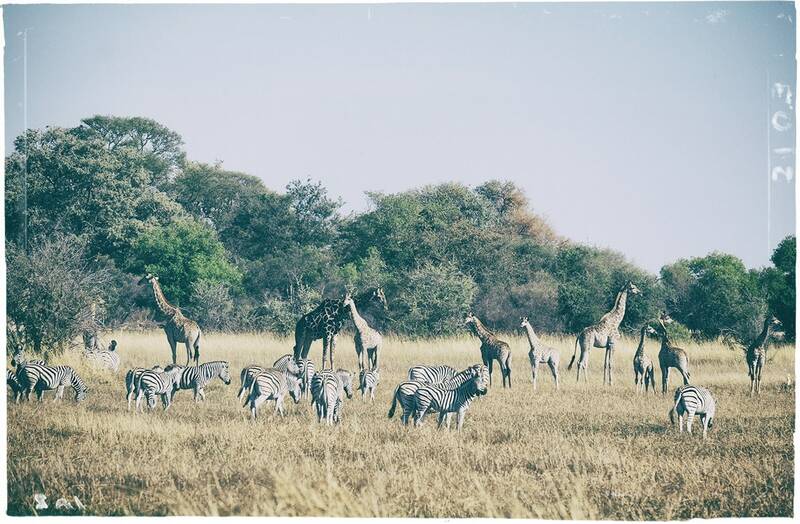 We saw this herd of giraffe and zebra while on a walking safari. Meanwhile a vervet monkey was destroying our tent back at camp! 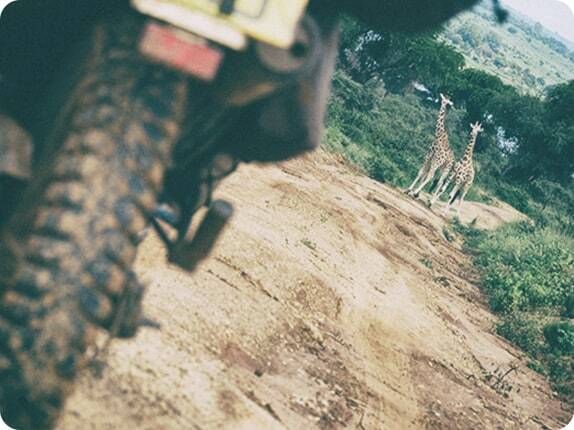 Motorcycle safari at sunset, riding through the savannah while looking out for wildlife. 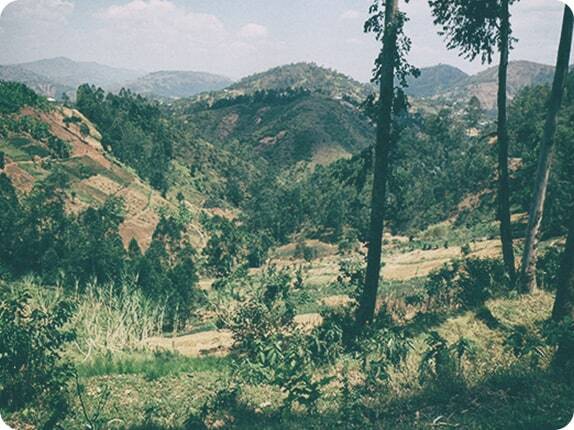 On my previous cycle trip, it had not been possible to obtain anything other than a five-day transit visa for Angola and so I travelled through the DR Congo instead. 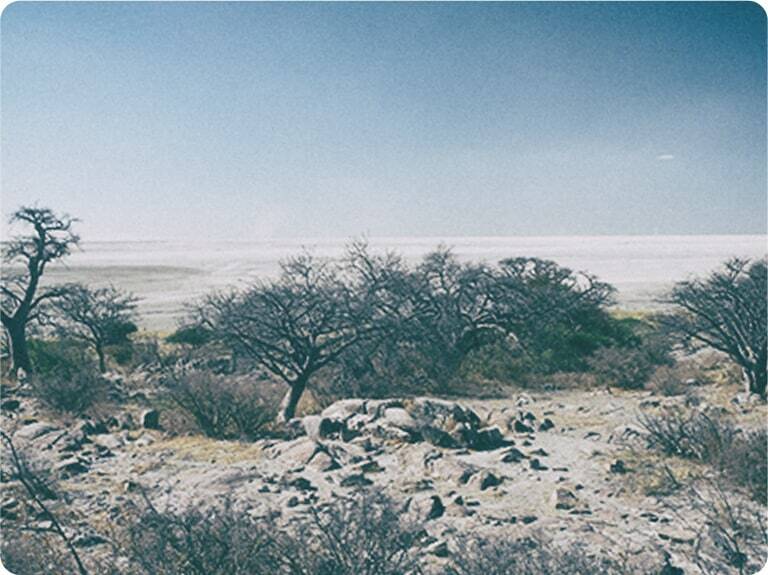 Years later, and coming from the south, rumors were that if you were lucky, you could get a 30-day tourist visa in Windhoek, Namibia. With gentle persuasion, a smile and some luck, we got the visa. 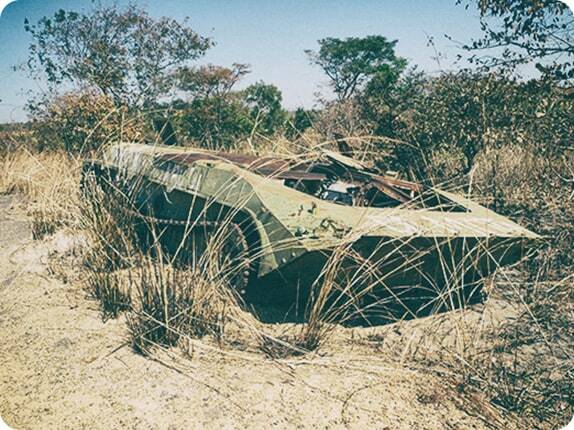 Tourism is almost unheard of in Angola, a country still recovering from 27 years of war, which ended in 2002. Only a few kilometers past the border, we saw, abandoned by the road, an old rusting tank and later on ‘Danger - Mines' signs. 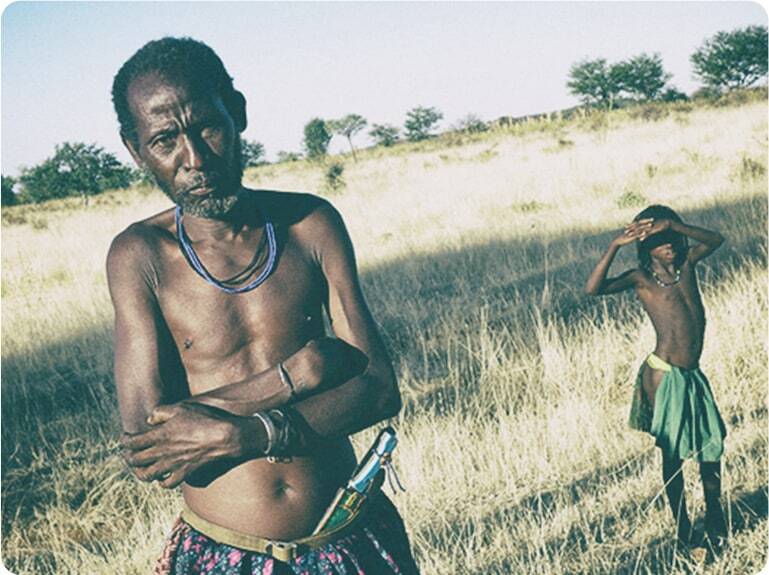 Despite ongoing clean-up efforts, the country is still littered with land mines. This made venturing off the roads and established trails or camping randomly too risky. Instead, I used my limited Portuguese and half-remembered Spanish to ask in villages if we could camp there. Sometimes we pitched our tent outside the village elder's hut , another time in a town we were directed to a police compound. Always, we were warmly welcomed and kindly looked after. 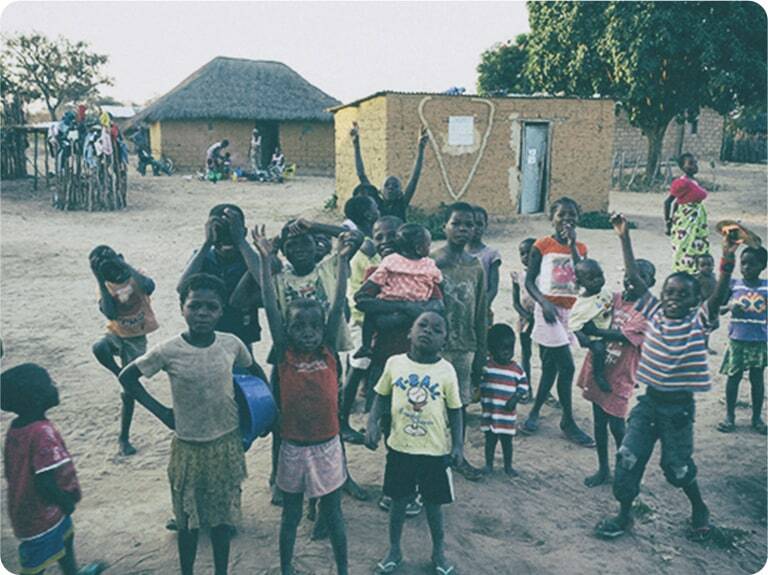 We were always offered food and drink, or soap and a bucket of water to wash, or simply had the only toilet (a hole in the ground) unlocked for our use. After a week exploring the wilderness of the Namibe province and Iona NP in the southwest, we followed the coast towards the capital. 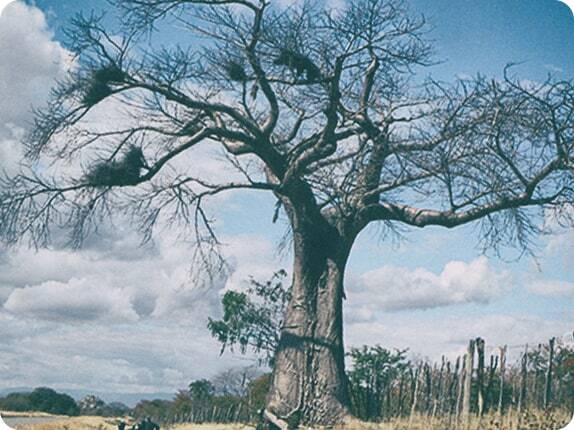 Angola is a country of two halves. The coastal region made rich from oil, and the rural rest. 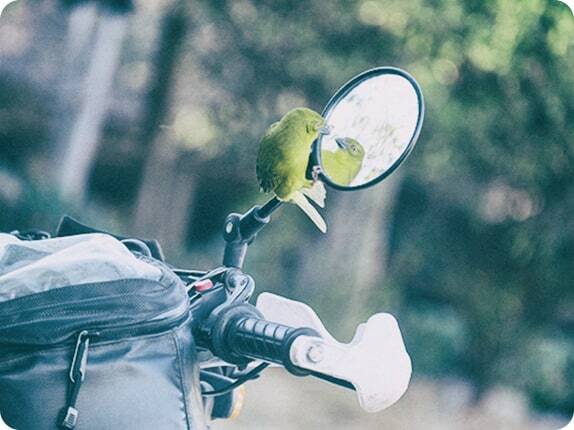 It was in the prosperous town of Lobito that we met a fellow biker. He owned a bar on the beach and invited us to stay and camp. 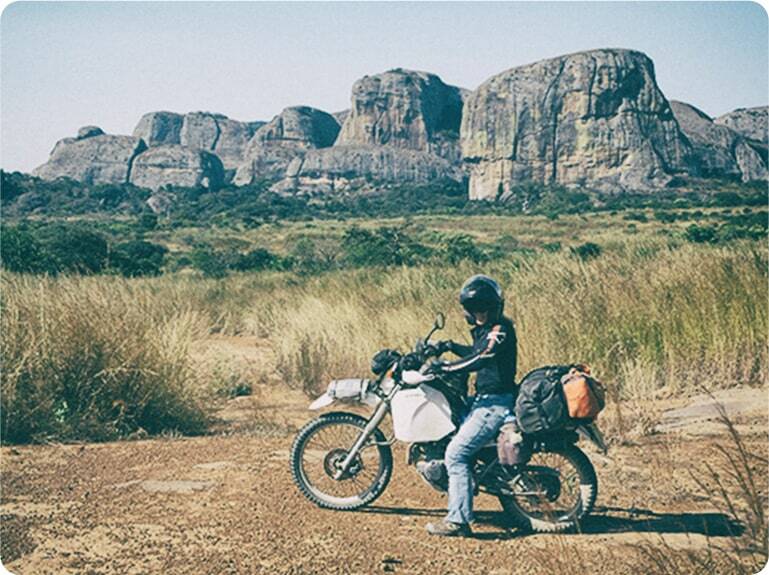 It was already clear to us that a lot of people rode motorcycles in Angola. Predominantly, these were Chinese and Indian 125cc imports, cheap to buy and cheap to fix. 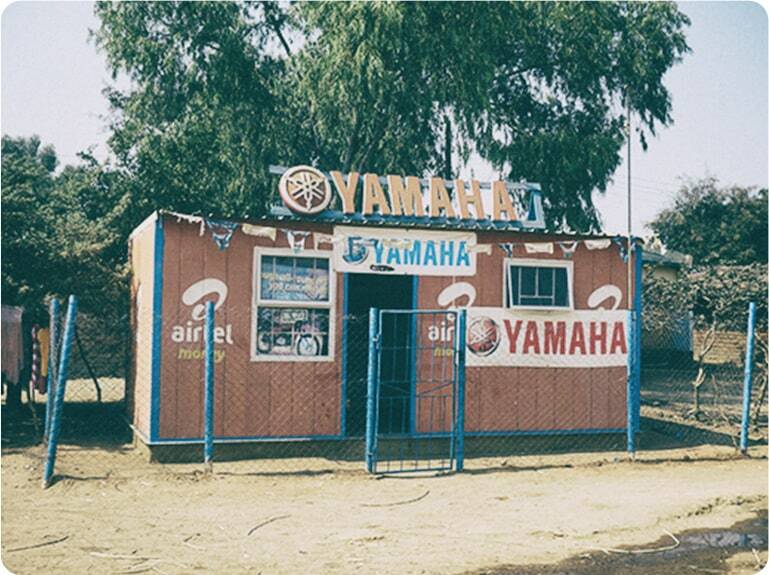 However, we learnt that there was a growing scene of motorbike enthusiasts who rode everything from Yamaha bikes to Harley Davidsons and Ducatis. He even ran a motorcycle club in town. 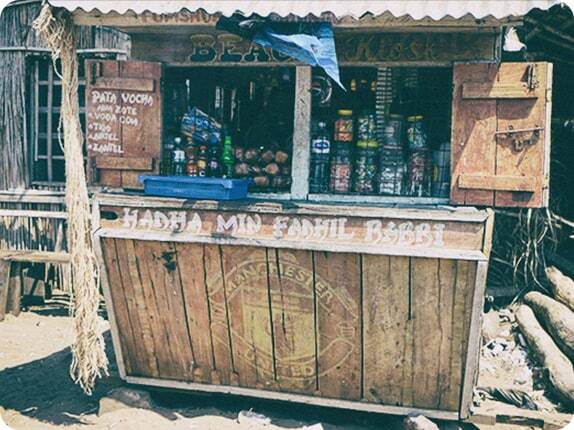 In Luanda, there was an even bigger club called Amigos da Picada, with some 300 members. The club president was a man called Lilio. That's when I realized that the ‘friend of a friend' who had helped us by providing a letter of invitation for our visa application was in fact this very man. 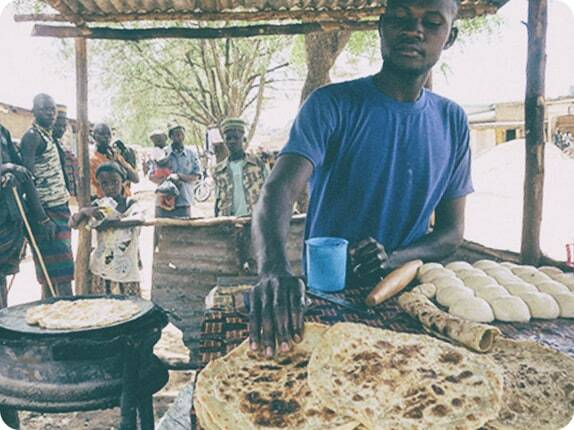 On the road to Luanda, we stopped for lunch when a truck pulled up alongside us, the driver signaling he wanted to talk. As someone who also loved to travel he wanted to check whether we needed assistance in his country. 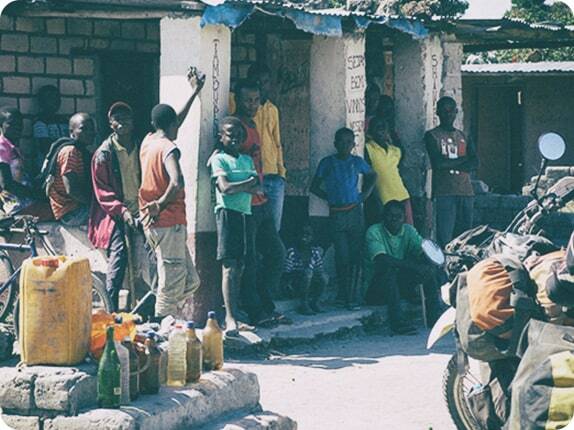 He mentioned that he also rode motorbikes and was a member of a motorcycle club in Luanda. Ah yes, the Amigos da Picada. I mentioned that we hoped to meet with the club president, although we didn't have a phone number to contact him on, so I would have to email him. 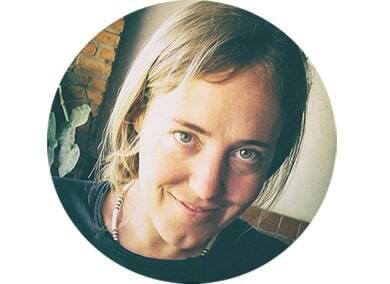 The truck driver pulled out his phone and within moments I was speaking with Lilio himself. We arranged to meet that afternoon. 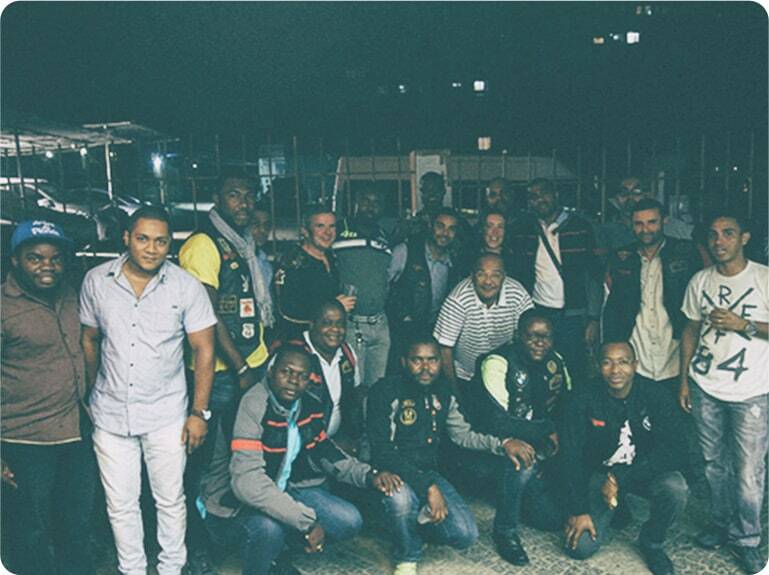 During the coming days we met many bikers who took us for lunch and showed us Luanda's sights. The club's mechanic helped us with some much needed bike maintenance and repairs. The hospitality we were shown by these apparently tough guys in leather jackets was truly humbling and extremely generous. 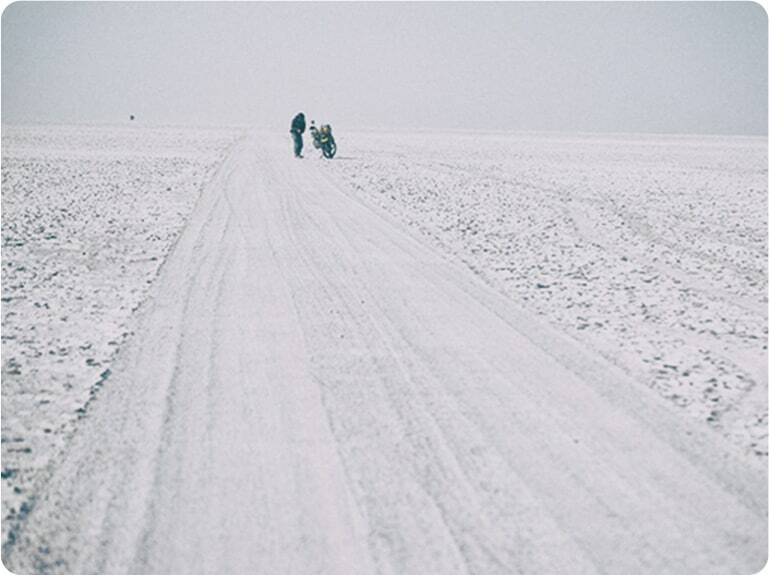 As we headed east, the roads became rougher. 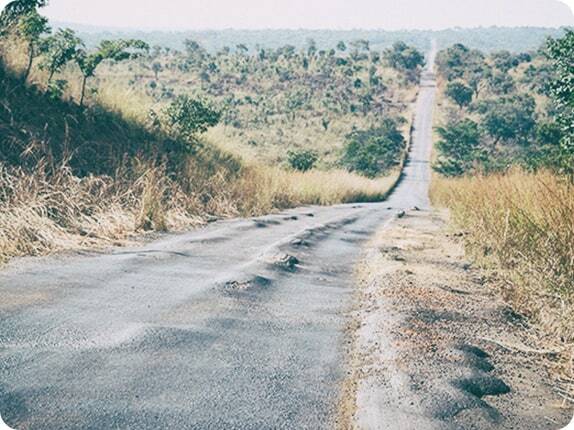 We took the old road that runs along the border with the DR Congo to eventually emerge in the top northwest corner of Zambia. The tarmac ended and a graded track ensued . In one town, an English-speaking local told us about the route. He warned us that the road is overgrown and that we might think we've gone the wrong way, but assured us not to worry, and that we haven't, and to just keep going. “Even when you think you've reached the end of the trail, just keep going. And if you think there's no longer a trail to follow, don't worry, you're on the right path. Whatever you do, just keep going” he added. 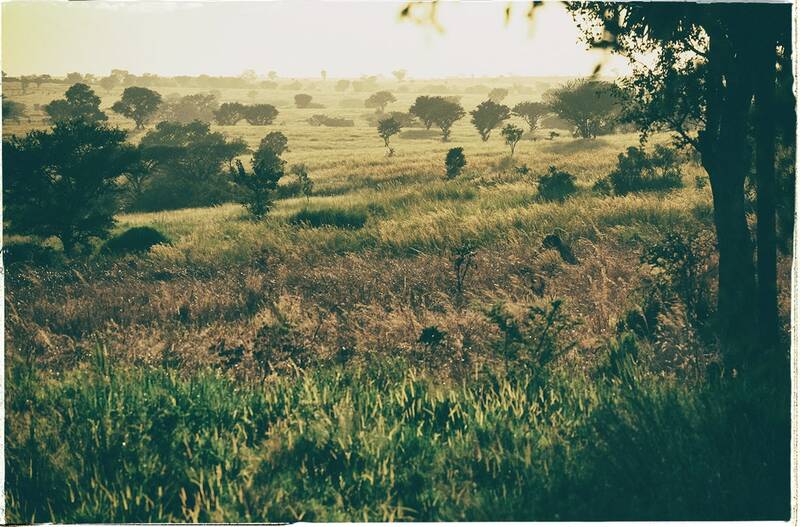 We rode on through tall grass , which obscured us, along a faintly visible single-track that weaved through the bush. 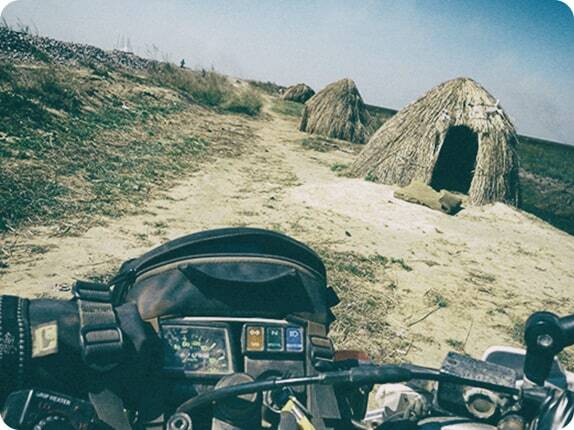 Eventually we arrived in another village, refueled and continued. According to the GPS there was a road. In actuality it was a brand-new rail line. Old carriages lay rusting on their sides and what were once the station buildings lay in ruins, scars of the war. The sleepers had been removed and recycled into bridges across ditches and fencing in villages. A single-track path ran alongside the rail line , wide enough to walk on or ride a motorcycle. Where the path tapered out or the ground had fallen away leaving a large hole, we'd ride up onto the gravel embankment and inch our way around. 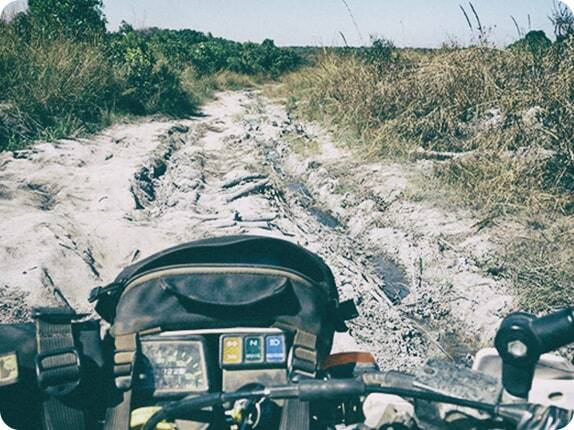 The last section to the border was the hardest as we fought our way along deep sandy tracks . The only vehicle we passed was one that had been abandoned, blocking the route. An indicator of how few people passed this way was that it still had wheels, engine and seats; nothing had been permanently ‘borrowed'. When we later stopped at an army checkpoint, they told us the vehicle had been stuck there for six months. 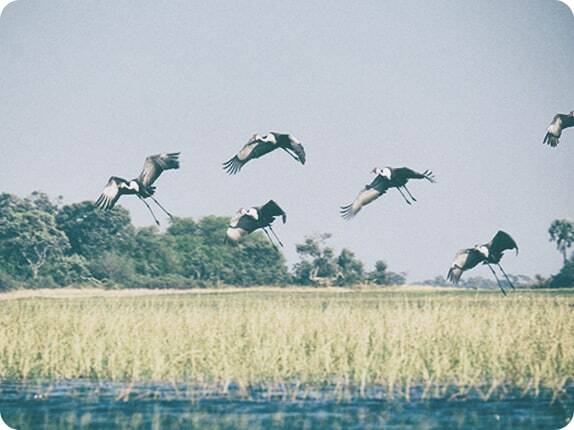 We crossed the border into Zambia, headed south towards the mighty Zambezi river so as to return to Botswana. 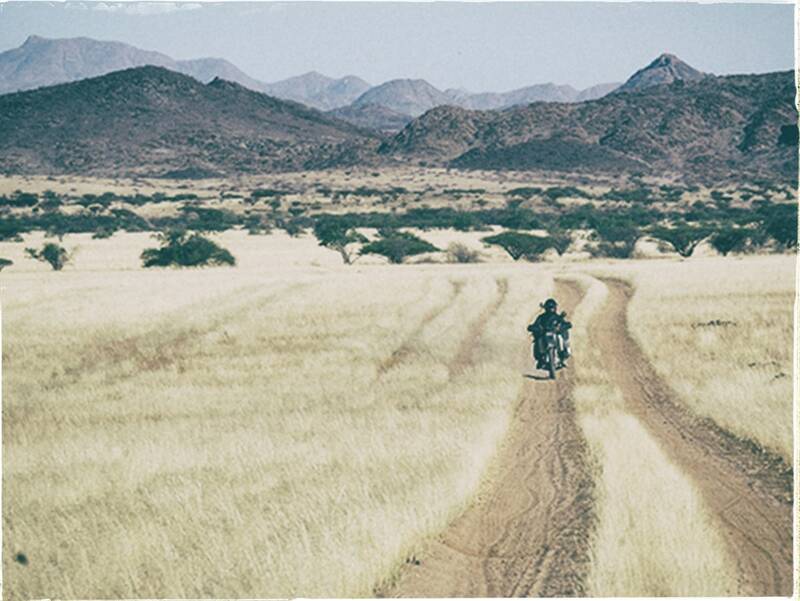 Three months since we'd first ridden through the country, the rains had long passed. 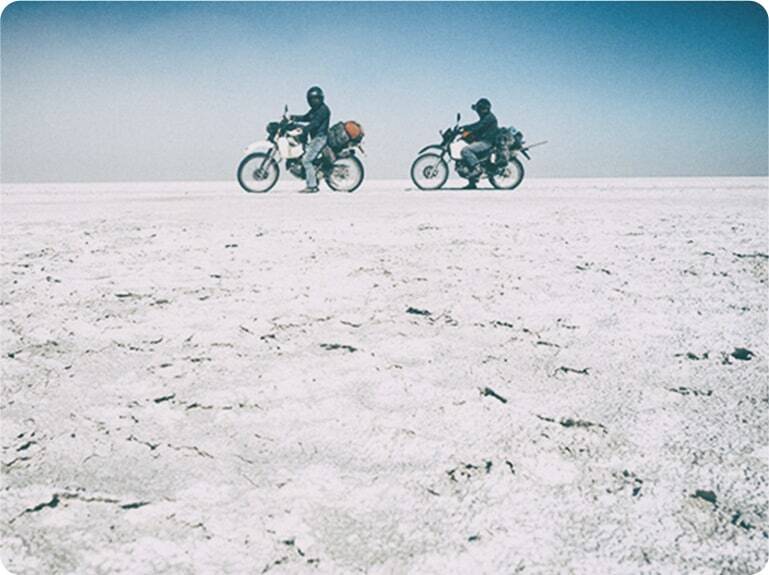 The Makgadigadi salt pans , vast expanses of white encrusted earth, were now dry enough to ride across. 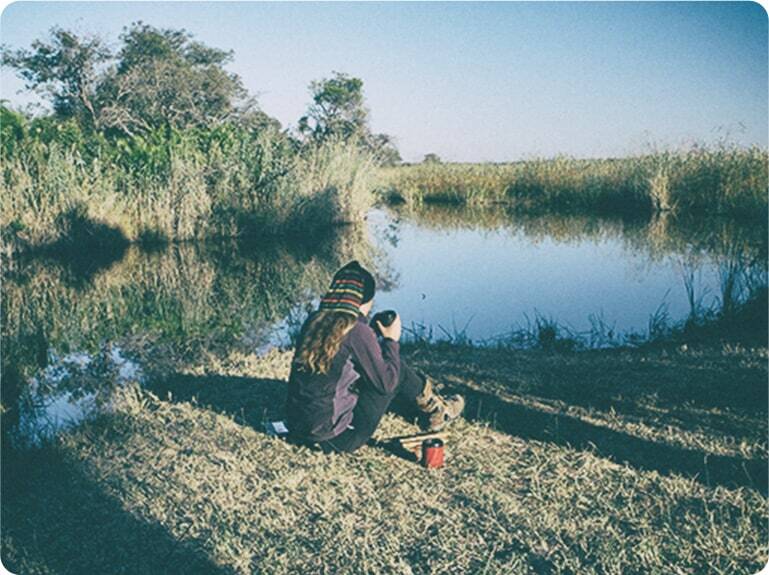 First, though, we stopped to camp in the Okavango delta, wetlands thriving with wildlife. From a mokoro (dugout canoe), we watched fish eagles and kingfishers, storks and cranes . Then in the evening, with the sun setting over the water, we peered through the reeds and saw a family of hippos bathing. We set up camp in a clearing on one island, made a fire and cooked bread with the cicadas providing music for the evening under a blanket of stars. The following morning we went on a walking safari and saw elephants, giraffes, zebras and many antelopes. But it was the vervet monkey that left us with the strongest impression. When we returned to camp, we discovered that our tent had been ransacked by one. It was ripped. Inside, the monkey had found the bag of flour for making bread and torn it apart. Everything was white and smeared in monkey poo. 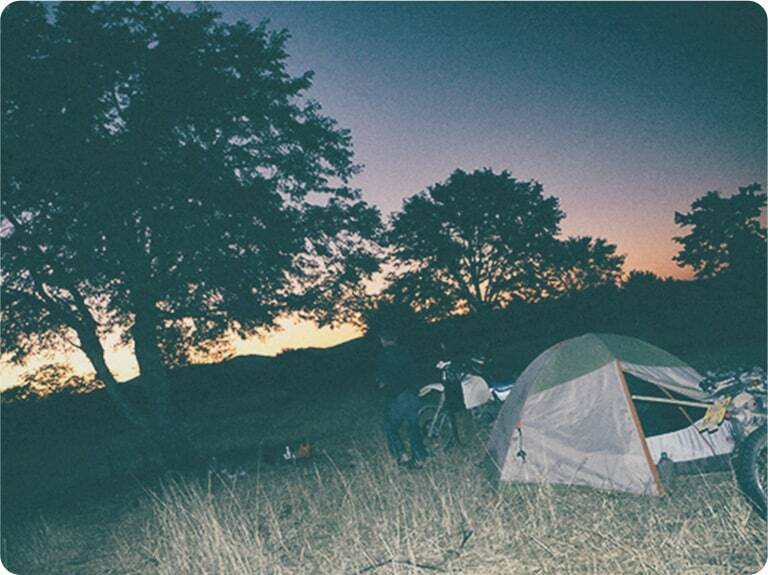 That was the last time we left our tent unattended in the bush! 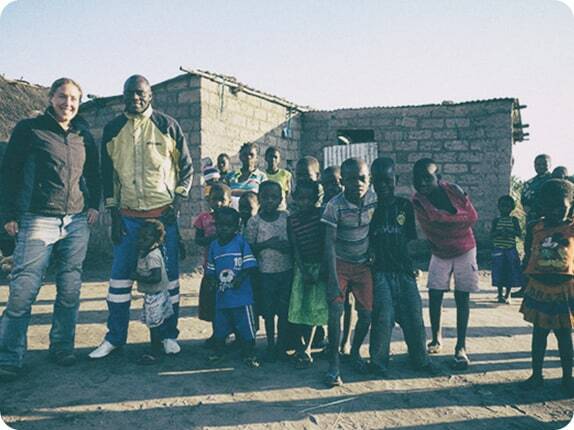 Six months into the journey, having made a big loop of southern Africa, we found ourselves barely 1500 kilometers from Cape Town. It was time to begin the journey northwards. We rode through Zimbabwe, full of fabulously friendly people who are persevering in a country with a crippled economy and rampant cronyism. Next was Malawi with its beautiful golden beaches along the lake that gave us a chance to rest, relax and recuperate after months of hard riding. 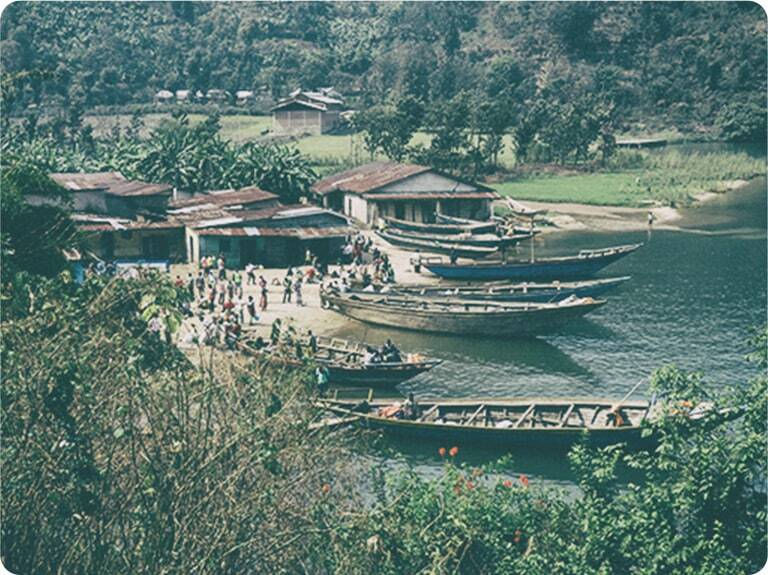 From there we crossed into Tanzania and headed to a village on the southern shores of Lake Tanganyika. We planned to take a boat ride. The MV Liemba, formerly known as the Graf von Goetzen, was scuttled by the Germans during the first world war. It was later raised and recommissioned by the British and, since 1927, has been operating as a passenger ferry up and down the lake. 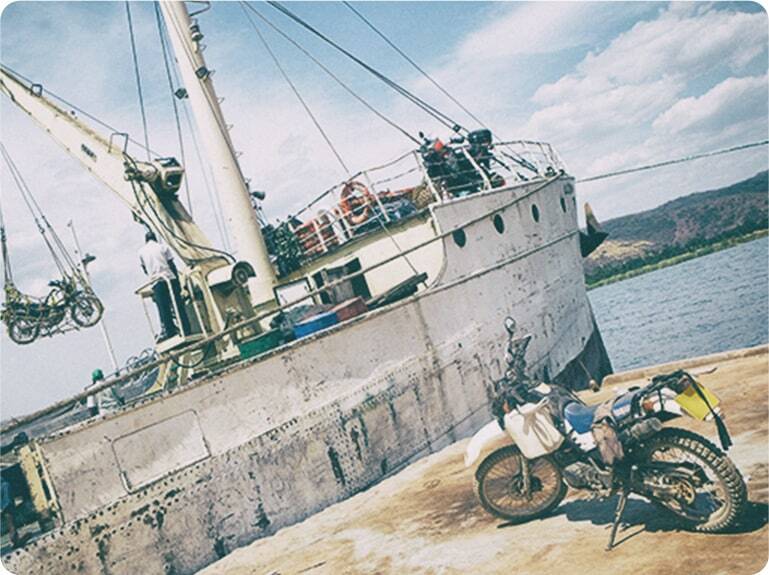 Our bikes were loaded onto the boat in a cargo net raised by a crane . It was unnerving watching my bike lifted through the air, not certain that the netting would hold. But it did. And for the next 3 days we enjoyed a leisurely speed of travel, the journey broken up when the boat stopped at villages to load and offload people and goods. 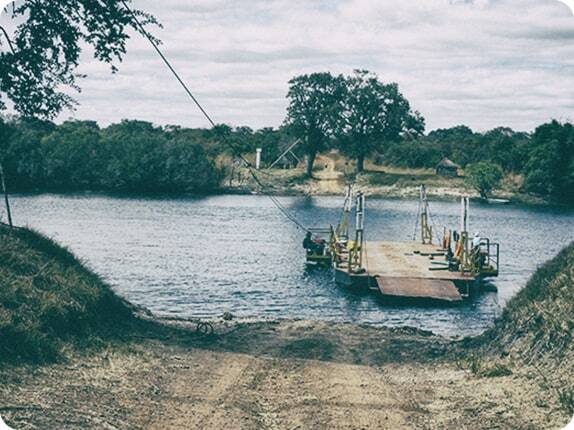 Where there was no jetty, the horn would blast and the villagers would paddle out in their wooden boats and jostle for a position close to the Liemba to offload. Sacks of maize, chickens, apples were indiscriminately thrown on board. 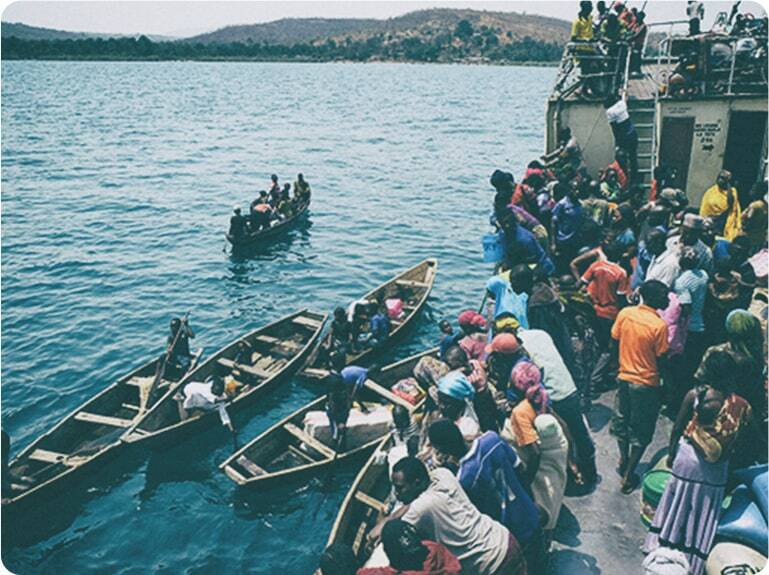 Men clambered down, women were given a helping hand and babies were unceremoniously passed between boats. Only one lady fell inelegantly into the water when the wooden boat she was stretching to reach started separating from the Liemba, but several hands quickly came to her rescue. 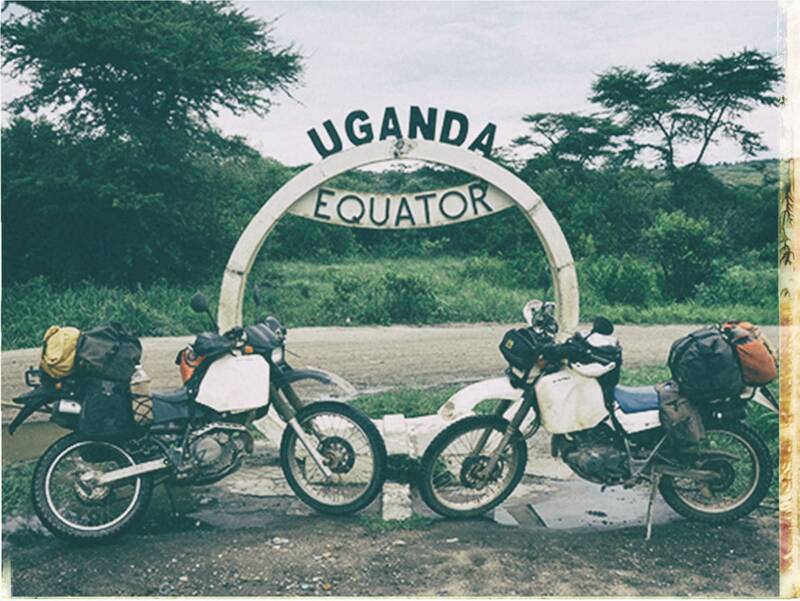 We made a loop through Rwanda, the 'land of a thousand hills', and into Uganda , the only country that allows motorcycles into National Parks. 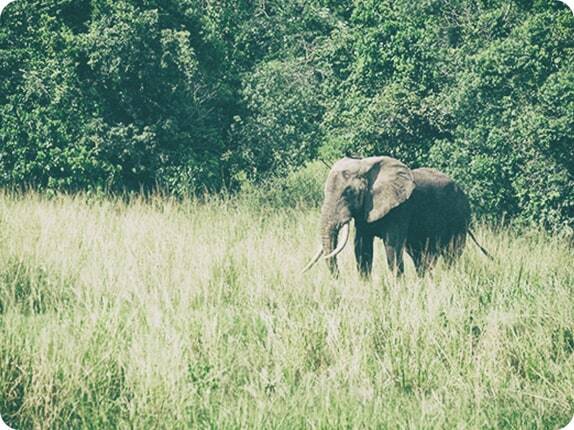 The safari experience from the saddle was both exhilarating and unnerving when you pass by only meters from a hyena and have to speed off quickly because a young bull elephant is going to charge. 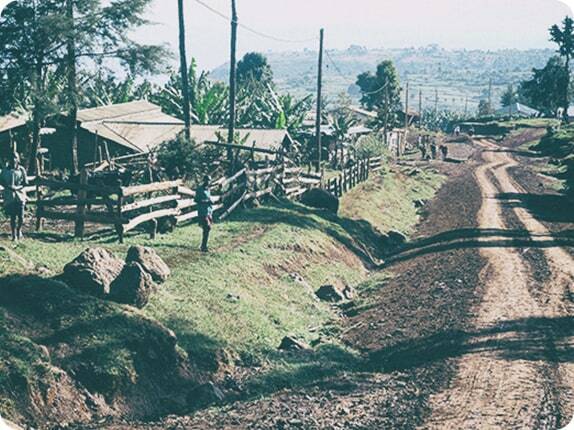 Then we headed to Nairobi in Kenya. 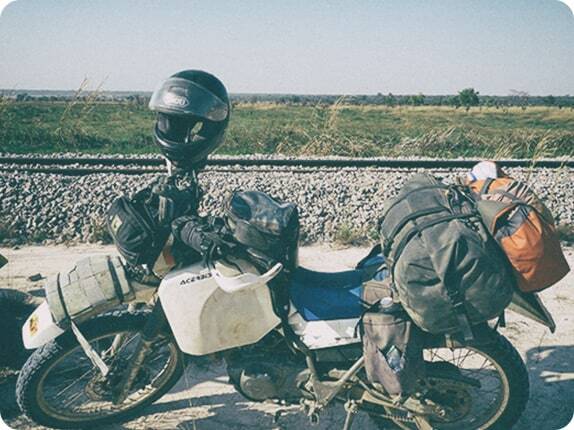 After 25,000 kilometers, our bikes had performed admirably but now were in need of new tires, which we could get there. 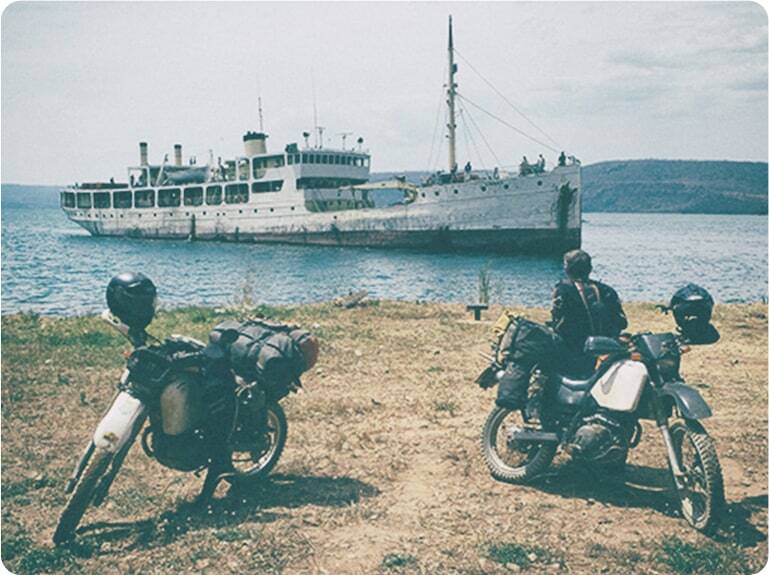 It would be a chance to give the bikes a general overhaul, rest ourselves and arrange visas and paperwork ready for the next section of the trip.